My son has been using his GRACO stroller since he was born. It was a wonderful gift from his Ninang Sugar. I loved how it was sturdy and easy to handle. I never really got to ask his Ninang where she got the stroller but I was looking online for something similar. You know, once we have the 2nd baby (hopefully girl!!!) I want to invest in a good baby pram for her. I want to have an all in one luxury system this time. I want it to be complete and easy to handle because that’s one very essential requirement for moms! My friend recently gave birth and I told her about BabyThings4U, its a great site to shop online for baby equipment & nursery essentials. 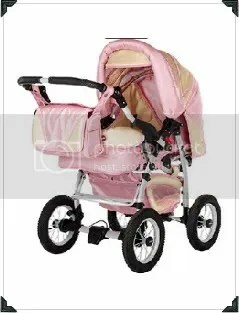 Since my friend was looking for a cheap baby pushchair I instantly told her to check out the site for great deals. They have an ongoing promotion now and it would be easy to browse around the site for her preferred brand. There are many brands to choose from, Chicco, Fisher-Price, Graco, Obaby, Disney baby and more. What’s good about this site is that you can easily cancel orders if you change your mind or you can return item if it is damaged. Goods will be delivered 3-5 working days after purchased is made. Check their site out begin choosing for your baby now. Pink! sooo cute! Prams and strollers these days are so chic no?